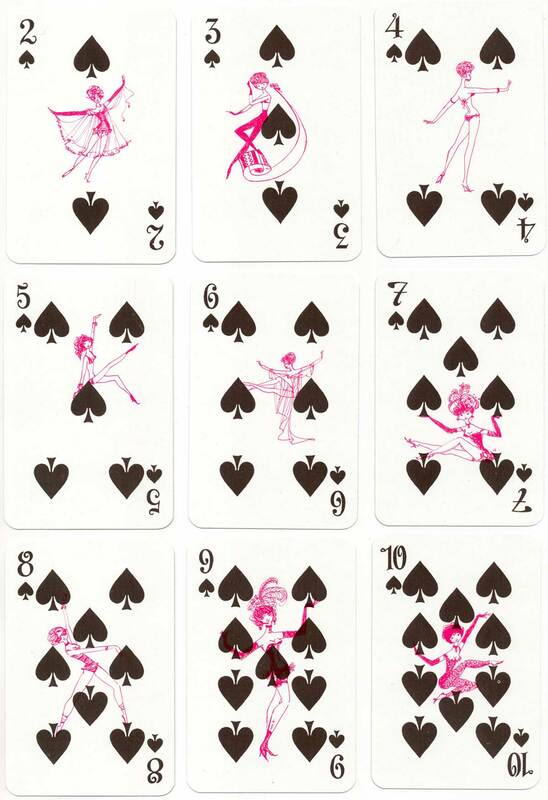 Chérie No 7022 pin-up playing cards designed by Hans & Louise Neupert, 1965. 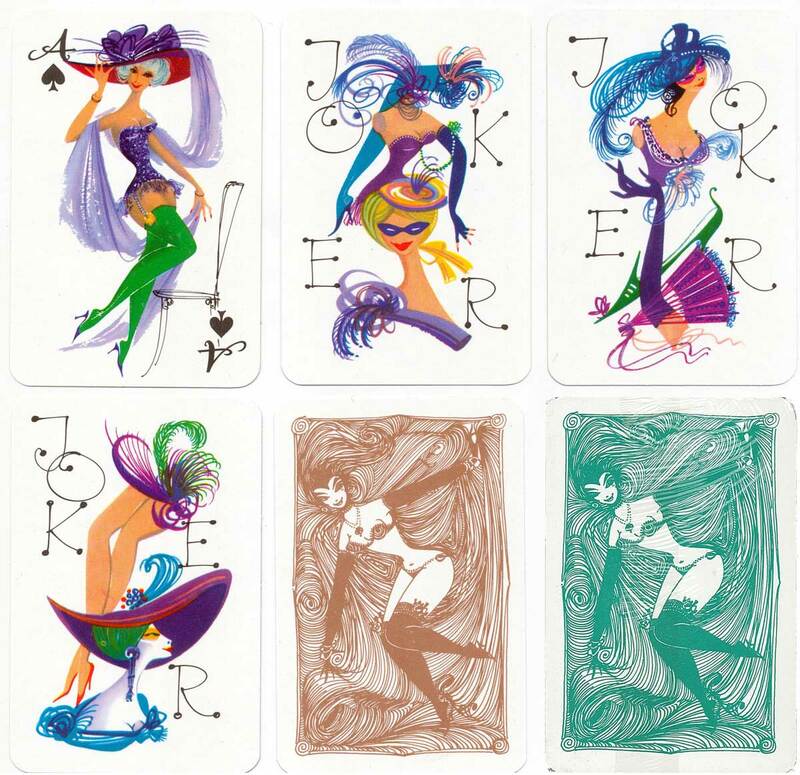 The four aces, 12 court cards and 3 jokers depict delightful pin-up models wearing exotic clothing, feathers and stockings, with smaller motifs repeated on the numeral cards. Above: Chérie No 7022 designed by Hans & Louise Neupert, manufactured by VEB Altenburg, 1965, 1978. Images courtesy Matt Probert. Thanks to Paula Wintle, Eric Johnson and Joop Muller for additional research.